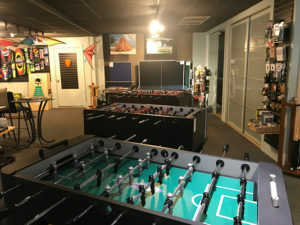 2) Free Delivery on any Hot Tub, Pool Table, Game Table or Rainbow Play System within 25 miles. 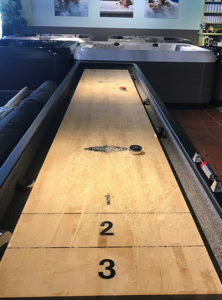 4) $200 off any Classic Game Table with purchase of a Bullfrog Spas Hot Tub, any Pool Table, or Shuffleboard Table. For every $100 spent at a locally owned business, $45 stays in the local economy, creating jobs and expanding the city’s tax base. Compare that with the fact that with $100 spent at a national chain or franchise store, only $14 remains in the community. Happy Holiday Shopping! Click here to learn about the top ten reasons to shop local. Do you dread the holiday shopping stress and crowds? This holiday season enjoy a personal VIP shopping experience tailored to your needs. Turn holiday shopping into a fun, relaxing, personalized experience. It’s free…but the schedule fills up fast! As always, we promise an engaged, no-pressure, informative experience. We also have a very convenient location, off-road parking, wheel chair accessibility, and a large beautiful showroom. A very limited number of after-hours time slots are available. Make an appointment today…and Happy Holiday Shopping! Click here to See our Favorite Reviews and Testimonials. Click here to Schedule an VIP Personal Shopping Appointment. While we are happy to offer these awesome Holiday Specials, we recognize that it takes only a minute to understand a SALE, but it takes some time to understand REAL VALUE. When you call or visit us, we’ll have the answers you are looking for. 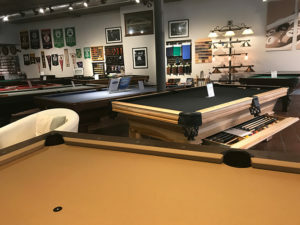 We have many Bullfrog Hot Tubs, Brunswick and Olhausen Pool Tables, Classic and Table Games – including Ping Pong, Foosball, Shuffleboard, Air Hockey, Dome Hockey, Darts and much more on the showroom floor to discover, play and try. Happy Holiday Shopping! Peaceful Body. Peaceful Mind. Peaceful Home. 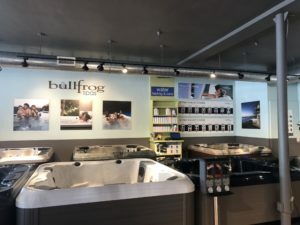 Your reasons for owning a Bullfrog Hot Tub are personal to you. You may want to entertain friends, improve your landscape, spend quality time with family, and to be healthier and happier. In fact, spa owner’s often express that they actually experience benefits they never expected when they get their new hot tub. But near the top of everyone’s list is to alleviate stress and relax, in short, have a more peaceful body and mind. The one-of-a-kind JetPak Therapy System® is crafted to relieve your aches and pains, reduce your stress, and give you that perfect place to connect with loved ones. 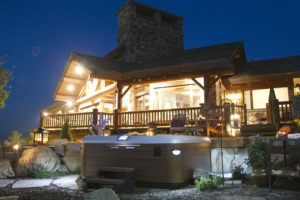 This one-of-a-kind hot tub therapy system ensures that your hot tub experience is personalized just for you. 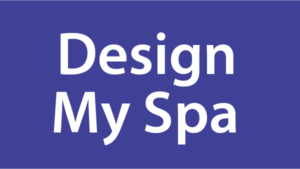 Each JetPak® is designed to provide a unique massage with unique wellness benefits. 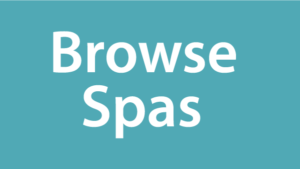 You design your spa specifically for your personal needs and preferences. 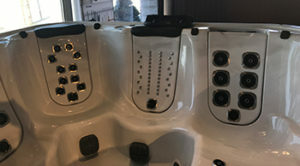 And here’s the best part…because JetPaks® are interchangeable, you can move them to different locations within the hot tub layout, easily and quickly, at any time. There are so many things that add to Maine’s beauty, charm and way of life. Let us help you upgrade your a fun-loving, active, lifestyle and home. Enjoying life is the “Way Life should Be” in Maine, NH and a little beyond….and Happy Holiday Shopping!